Nothing is more frustrating than the unrelenting urge to sneeze, sniffle, and wheeze through a nose plugged up with pollen. 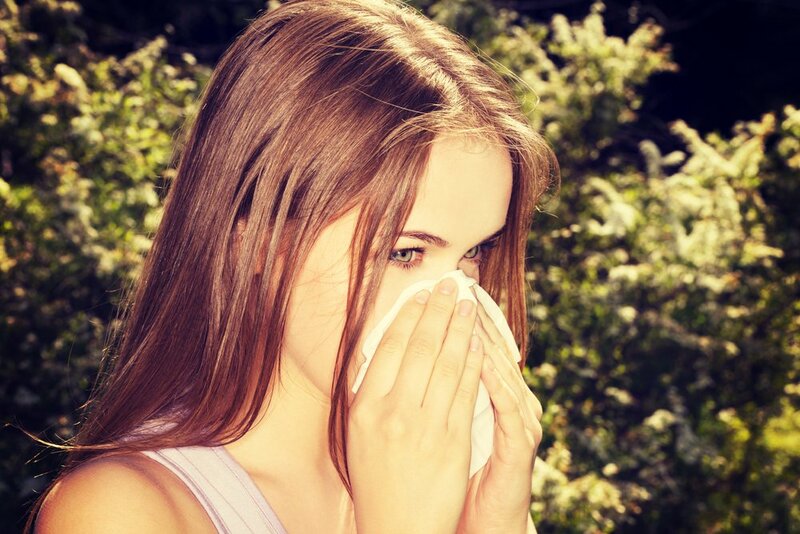 Allergies are no fun, but the conventional allergy medications used to treat them can be even worse, often leaving you feeling amped up and groggy all at the same time. But you can find relief without nasty side effects by learning how to use essential oils for allergies. A diffuser disperses the essential oil by either exposing it to air, heat, or water. After diluting essential oils in water you can use them in a spray bottle. For example, this lavender magnesium spray is great for relaxation just before bed. Essential oils applied directly to the skin need to be diluted with a carrier oil (for example, a vegetable or nut oil). The essential oil should have a concentration of no greater than three to five percent. That means in one teaspoon of carrier oil, you would add three drops of pure essential oil. This would make a three percent solution that could be used on a portion of the body. If you’re using the oil for massage therapy over the entire body, it should be diluted to one percent. Allergies like hay-fever come with a host of symptoms from runny nose to sinus headache, sinus pressure, itchy eyes and throat, and the list goes on. But a number of essential oils may relieve those irritating symptoms. While essential oils do have some side effects, for example, they can be irritating to the skin as well as the mouth, nose, and eyes, they don’t cause side effects like allergy medications, which can make you feel amped up, groggy, and dehydrated. Essential oils are also controversial for pregnant women and children. You should talk to your doctor before using them. Essential oils can be less expensive than over-the-counter or prescription medications when you consider that just a few drops go a long way. A one-ounce bottle of eucalyptus oil costs around $6, but it takes just a few drops added to a diffuser to have an impact on the respiratory system. Compare this to allergy medications like Claritin and Zyrtec, which range in price from around $15 to $40. 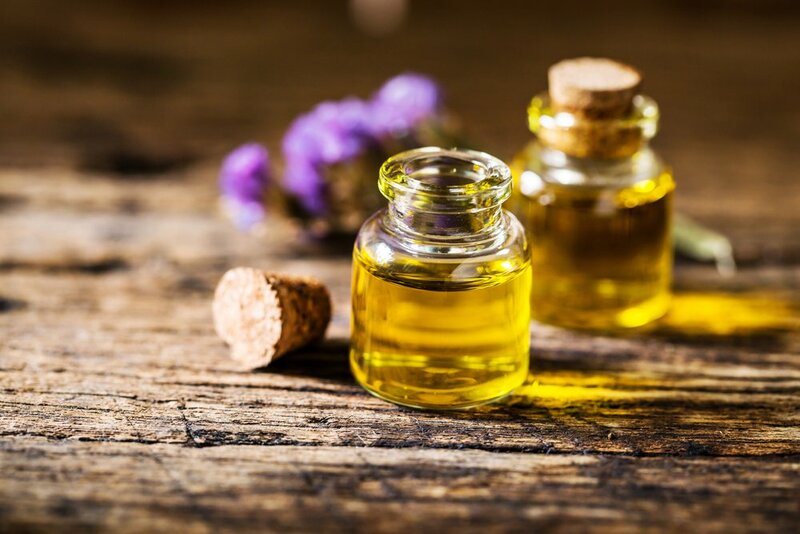 Science is behind the curveball when it comes to essential oils, but according to researchers at the University of Maryland Medical Center, some experts believe that olfactory smell receptors in the brain communicate to other parts of the brain like the amygdala and hippocampus, influencing physical, emotional, and mental health. A study published in April 2010 issue of Alternative Medicine Review found that eucalyptus has antimicrobial effects. It can be used to treat colds and flu by opening the respiratory system and reducing inflammation. Rosemary is slightly more mild than eucalyptus, but it also works to open up inflammation in the sinuses. According to a 2011 Penn State University Medical Center study, rosemary oil also has antimicrobial qualities and can neutralize some pathogens. Clove oil has anti-inflammatory and antimicrobial characteristics, and can help to reduce allergy symptoms. Research published in an October 2012 issue of the Brazilian Journal of Microbiology found that clove oil can be used as an antimicrobial to kill internal and external pathogens. Lavender is a natural antihistamine and anti-inflammatory. It may help reduce irritation and relax your breathing. A study published in the July 2014 issue of the journal Life Sciences, found that lavender essential oil inhalation effectively suppressed inflammation in the airways. Chamomile is another anti-inflammatory that relaxes and relieves sinus headaches. Working with chamomile essential oil months before your hay-fever sets in may boost your immune response and decrease your reaction. One study, published in the November 2010 issue of Molecular Medicine Reports, found that chamomile can be used to treat inflammation of the mucus membranes in the mouth and throat. 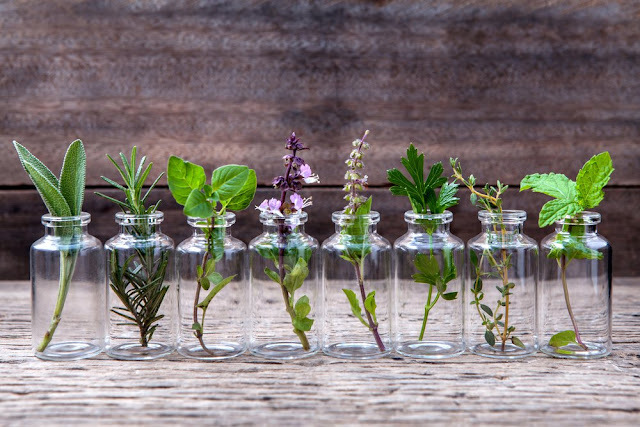 When it comes to naturally clearing up your respiratory system, eucalyptus and peppermint oil are both highly effective, according to certified nutrition specialist and natural medicine expert, Dr. Josh Axe. This homemade Vapor Rub by Dr. Axe uses both and helps to open up the airways. 1. Place olive oil, coconut oil, and beeswax in a jar. Place a saucepan with 2 inches of water over medium low heat. Add jar to saucepan to melt oils. 2. Let cool before adding essential oils. Pour in a jar and allow to set up. Keep essential oils out of reach for children. Never give them to children orally. Keep them away from a child’s nose. Applying diluted essential oils to the feet are often best. Introduce them slowly and watch for any reaction. Avoid use on children less than three months old because of extreme skin sensitivity. Stick to really mild oils for babies like chamomile, dill, and lavender. Talk to your child’s pediatrician before use. Not sure where to buy essential oils? When it comes to choosing essential oils, look for brands that are made purely of the oil and not diluted with fillers like propylene glycol. Bonus if they’re wildcrafted and made from organic plants grown in their indigenous locations. Read labels, and if you can’t tell from the label, call the company. If it’s hard to get a response, choose another company. Mountain Rose Herbs and Plant Therapy are both smaller companies that produce pure, high quality oils.